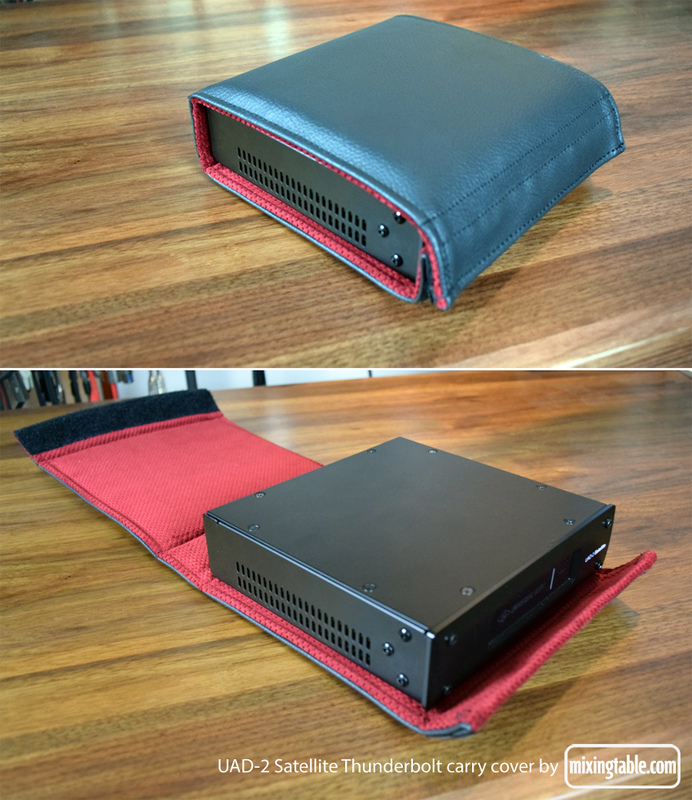 Give your UAD-2 Satellite Thunderbolt some loving protection when traveling, with this luxurious hard wearing vinyl carry cover by mixingtable.com. Shown in the picture below is the model with red lining. Blue and black lining is also available. UAD-2 Satellite Thunderbolt Carry Cover 39.99 Euro + 7 Euro shipping to any destination. Matches our Apollo Twin Carry Cover.